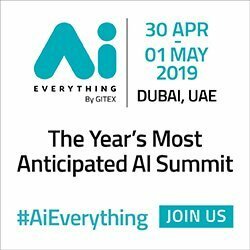 As the Fourth Industrial Revolution continues to transform the workplace with Artificial Intelligence (AI) and Automation becoming increasingly prevalent across industries, Dubai-based B2B event specialist QnA International, has unveiled plans for a first-of-its-kind summit to discuss the unique challenges this will place on HR and IT departments in Saudi Arabia. Being the only event dedicated to HR Technology in the Kingdom, the HR Tech Saudi Summit, taking place 20 - 21 November 2017 in Riyadh, will unite HR executives with the IT industry in Saudi Arabia at a time when the Kingdom is making significant investments in leading technology solutions, in line with Saudi Vision 2030. Sidh N.C., Director, QnA International, said: "The debut of the HR Tech Saudi Summit comes at a time when Saudi Arabia is moving towards digitization and hence uniquely placed to welcome the collaboration between the HR and IT capabilities. 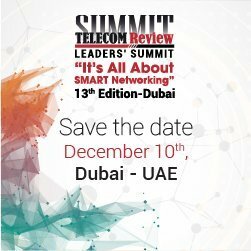 The summit is the first of its kind in the Kingdom to address the technological revolution underway in the workplace and debate how best to harness its capacity for the success of business in the public, private and government sectors." In line with Saudi Vision 2030, the Kingdom has pledged to increase investments in technology in order to continue leading the digital transformation of the region. Under the King Salman Program for Human Capital Development, 500,000 government employees will receive training to upskill by 2020. All Ministries and Government institutions will be required to adopt best practice in Human Capital Development and other organizations will be tasked with enhancing engagement and the employee experience. Enabled by mobile, remote and real time connectivity, digital HR processes now reach beyond payroll and data capture to incorporate functions such as interviewing, performance management and KPI review. The technology exists for employees in larger organizations to share concerns and feedback, or even complete training remotely, through mobile video. Sidh N.C. added: "With discussion focusing on the latest HR technology trends, innovations and disruptive ideas, the HR Tech Saudi Summit will help leaders from the HR and IT departments to collaborate on effective solutions to modern human challenges." The launch of HR Tech Saudi Summit follows the three successful editions of HR Tech MENA Summit in Dubai. The 3rd edition of HR Tech MENA took place in May 2017 under the theme of Revolutionizing the Future of Work with discussions ranging from the challenges of rapid technological developments to the need for enhancement of workplaces.